SAN DIEGO, Calif. /California Newswire/ — Bank of Southern California, N.A. (OTCMKTS:BCAL) announced that it has completed a capital raise of $7 million through a stock purchase agreement of the Bank’s common stock with Castle Creek Capital, based in Rancho Santa Fe, California. As part of the offering, the Bank will issue 823,529 shares of its common stock. 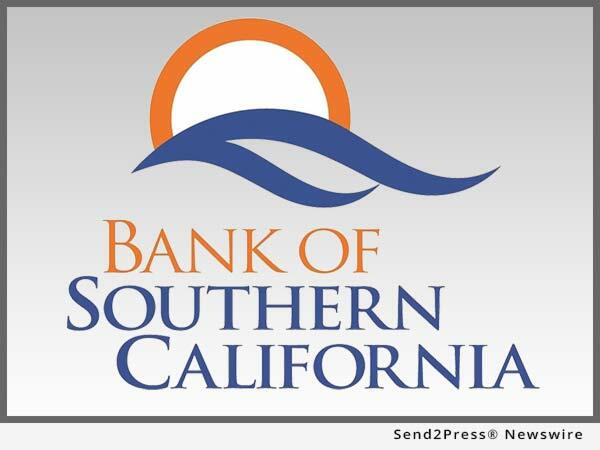 This is Bank of Southern California’s second common stock offering in two years, raising over $14 million. Over the past several years, the Bank has experienced strong organic growth and has completed several acquisitions. The additional capital will help continue to fund organic growth and will provide the bank the ability to act on strategic acquisition opportunities. It also increases the bank’s legal lending limit, which allows it to meet the growing needs of its clients. As part of the transaction, David J. Volk, a principal of Castle Creek, will join the Bank’s Board of Directors. Mr. Volk joined Castle Creek in 2005. Prior to joining the investment firm, he worked for a variety of well know companies providing merger & acquisition, financing advisory, corporate restructuring, and capital raising services to small and middle market companies. “We are pleased that David will be joining our board of directors. His expertise and guidance in mergers and acquisitions, as well as his extensive history with other community bank investments will help contribute to our continued growth and future success,” concluded Rogge.